Living in a city where there are not many options for movies and movie theaters in general, there was only one other big movie (release) going around, the last installment of the Avengers. I was not very drawn into the latter, for some reason, the idea that Hulk, Thor, Iron Man and Captain American co-exist at the same time, puts me off. It´s like having Spiderman fighting next to Frodo, they just don´t fit together, well at least that´s my take on it. I love big action packed movies, but I have to admit that sometimes too much constant action, like fighting or shooting for several minutes, gets me bored, and in a feeling of needing something else. 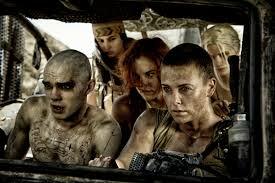 Mad Max redeemed the entire action genre; it was full action from the beginning till the end, but created in such a manner that I never got bored, not even for a single second. 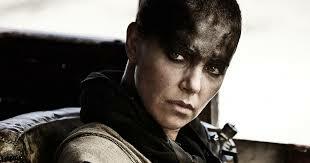 I´m not sure if it was drown into the anarchy of this surreal post-apocalyptic world, the contrast between beauty and the blatant repulsiveness of some characters, or watching Charlize Theron play the amputated heroin with grease on her face, but the total impact of the movie was mind-blowing. Each detail and scene were just so freaking bizarre and disturbing that it only made the movie even more interesting. 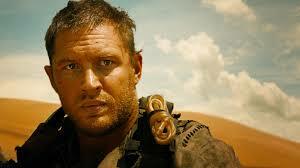 Now Tom Hardy (who´s totally hot, I know I know… but I couldn’t help mentioning it) plays the main character: Max; but Theron steals the show, in her role as Furiosa – which has to be one of the coolest names ever for a heroin – simply nails a fiction character every action freak (including me) is going to remember for some time. This morning, I dug into the Rotten Tomatoes, the movie review website, which is always a bummer, because I don´t always agree with their movie reviews. The only movies with good reviews are the ones that usually compete for best film in the Oscars. 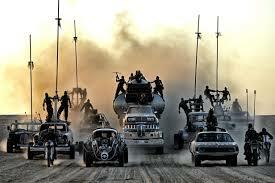 Action films and big blockbusters usually don´t stand a chance. 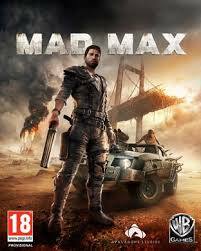 But surprisingly enough, Mad Max got 98% of approval. 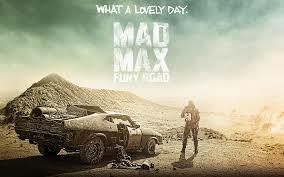 So it seems that all those snobbish (well, my perception at least) film reviewers praised the movie as much as I did. Why? Because this movie reminded everybody of what good actions movies are all about: Entertainment! I usually don´t review many movies here in my blog, I´m not an expert, neither a movie junkie, but when this week started, I couldn’t get the movie out of my mind. And the objective of my blog is to share everything good that flourishes around me 😉 Did any of you see this movie? Are you for big action movies? I would love to hear your thoughts. Next Receiving feedback from your manuscript is not terrifying is confusing! For a non-movie critic, you did well! I, too, often wonder how the Rotten Tomato reviewers make their picks. I had decided they love foreign films with no plot, but after your review, I am thinking they might not be too dense. I love action movies, so I’ll have to check this one out. Thanks! I loved reviewing this movie. And yes, RottenTomatoes reviewers are hard to tell.